Mobile application development has become quite a popular trend. Similarly, social media platforms have also extended their reach. They can integrate with the mobile applications to complement the advantages that are offered by the social media platforms. We will explore detailed advantages of mobile application development here so that you can benefit from the practice. The biggest advantage of mobile application development is enhanced user experience. With the help of the mobile apps, it becomes easier for the users to access and share business information. Starbucks is a practical example of how a business can benefit from a mobile app. They offer rewards to the app subscribers. This is why the customers get motivated to buy their coffee. When you get a mobile app developed for your business, then you are promoting brand awareness among the customers. The app helps you win the trust of the clients. When a company has a mobile app, the customers automatically get the feeling that the company has a mature marketing approach and are eager to assist the customers in the best possible way. When the customers use your app, it will give them a fair chance to decide whether they should go for your product or not. If the customers approve your product, then you will get more profit coming your way. It is also possible for you to share personal information using apps. This is why if you are running a successful business, then you should try to take your business to the next level by introducing a mobile app. This is a worthwhile investment that will pay you off in the long run, and you will not have any regrets at all. 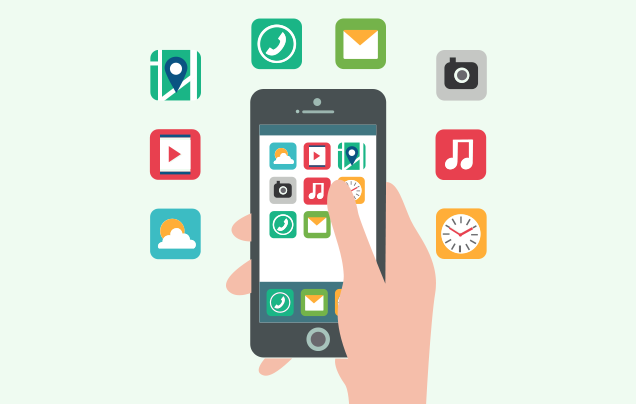 Remember one thing that mobile app development is one task that requires advanced skills. This is why make sure that you contact the best digital solutions provider for the job. You cannot afford to introduce a flawed app to the clients because app development is quite a competitive field. Go for a service that is experienced in app development. This way they will be able to provide you an app that will best suit your needs. When you hire a professional service for app development, make sure that you ask them to show a few samples. This way you will get a fair idea about their skillset and will not end up making the wrong choice. You should also discuss your app requirements so that the result is as per your expectations. If the app development idea works well for you, then you will experience an expansion of your client portfolio as well.